The first time I moved out to live on my own was such an exciting experience because not only was it a rite of passage into greater personal freedom, but it also meant that I could decorate my place to suit my style. Back when I was in high school, interior-decorating shows were some of my favourite programs to watch. I learned so much about colour theory, making the most of small spaces, and clever ways to add personality to a room. So when I was able to really put what I learned into a concrete project, I was over the moon and into the stars! 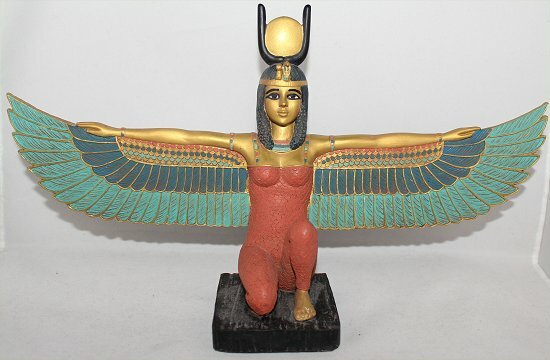 Among some of the many home-decor items I found and fell in love with were three badass sculptures of Egyptian gods. To this day, they’re still some of my favourite items. Come see more detailed photos of each sculpture, and I’ll also tell you a brief background on each of the gods. Often seen carrying a sacred sceptre, this chill dude with a jackal head deals with people’s passage into the underworld. His chief responsibilities include protecting the journey of the deceased into the afterlife and overseeing the embalming process. Jackals often hung around tombs, and the early Egyptians called upon Anubis in hopes that they’d protect their deceased loved ones from the jackals. You can think of her partially as Lady Justice because she’s responsible for upholding the truth and ensuring that there’s balance, order, and morality. You’ll notice that she likes to accessorize with a feather. (She was waaay ahead of the feather-hair trend!) Except instead of using it for fashion, she uses that feather to weigh souls. That feather helps her determine whether or not souls of the dead will achieve happiness in the afterlife. She’s supposed to be the ultimate wife and mother, protecting children and the dead. 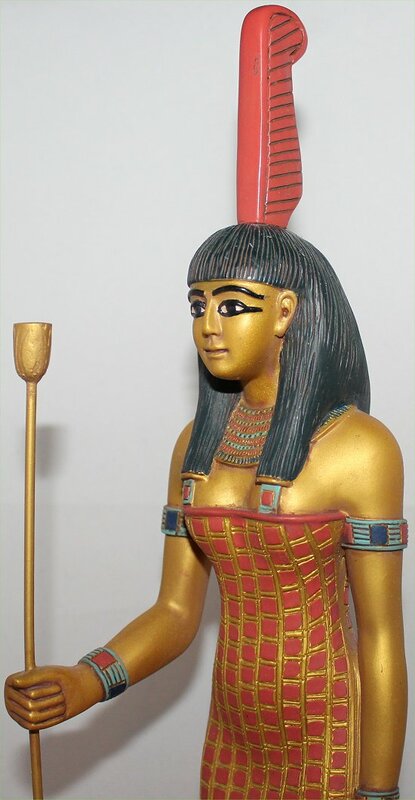 Her name literally means “throne”, and she’s often depicted with a throne on top of her head. However, here, she sports the hieroglyphic symbol for a throne. According to Egyptian mythology, Isis brought her brother (Osiris) back to life after he had been murdered. For some time, when the Nile River flooded each year, people said that it was due to Isis’ tears as she wept for Osiris. Do you enjoy reading Egyptian or Greek mythology? Which god intrigues you the most? Do you believe in the afterlife? This entry was posted in Smorgasbord Sundays on February 5, 2012 by Mary S..
Those statues are beautiful, I’d love to have some lovely pieces like that but I have 3 toddlers so everything we have needs to be unbreakable. I have a few pieces of Viking glassware (http://retroartglass.com/content/00/01/40/15/01/userimages/hippie%20decor%20glass%200/huge-art-glass-floor-vase.jpg) that I’d very much like to be able to display someday. I love mythology! I love reading about it and it’s so interesting. I’m more in to Greek Mythology. I’ve read the whole Percy Jackson series which is about Greek Mythology and I read the Kane Chronicles which is about Egyptian Mythology. Those sculptures are beautiful. Greek mythology is awesome, too. I remember reading a lot about it in high school for a year’s required reading. Now I want to get back into it. Those are stunning! 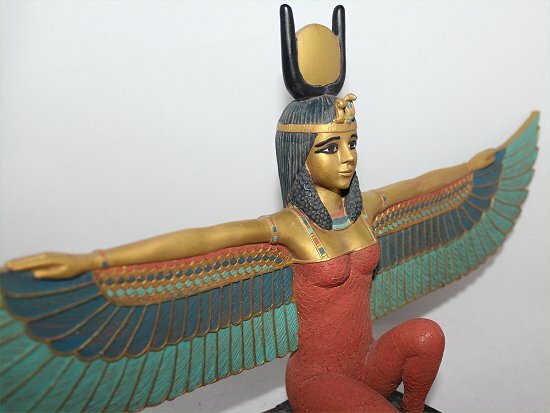 Did you continue the Egyptian motif throughout your home? My sis got me reading Egyptian Mythology after I fell in love with Hawaiian, Greek, and Norse Mythology. Athena has always been a favourite (who can’t use a little wisdom? ), although it would be nice to be more like Demeter since she could probably keep houseplants from dying. Your post got me to looking around trying to find some basis for my own decorating…and there really isn’t one. Apparently, my decorating is as eclectic as me….nothing matches and there is no theme, but it’s cozy and that’s probably what really counts. Egyptian mythology is fascinating–I’ve been interested in it my whole life. Those sculptures are really cool! I bet they’re a conversation starter! As a college student I definitely know about interior decorating in small spaces, haha. Posters are my favorite way to easily add some personality. When I have my own place one day though I would love to have some awesome sculptures as well! When I was living at home, I covered my walls with tons of posters. What kind of posters? Are they of movies, celebrities, or art? I have a soft spot for movie posters, but I also like posters of world landmarks and art. Right now I have a giant poster of a pink Eiffel Tower, a poster from a museum exhibit I really enjoyed, and a movie poster of The Phantom of the Opera. Oh my gosh, I haven’t thought of The Phantom of the Opera movie for a long time until you mentioned it! That movie gave me goosebumps because the sets, the songs, and the actors were incredible. I need to watch it again – have it on DVD! Gorgeous! Id like to see the while pic of the room they’re in! 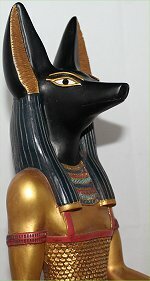 When I read the title I thought you’d have Anubis, Osiris and Isis, you got me there with Maat. Great quality, xoxo! Marcia recently posted: NY Giants + China Glaze Skyscraper! Hehe, actually, I just took the sculptures and photographed them in a soft box. 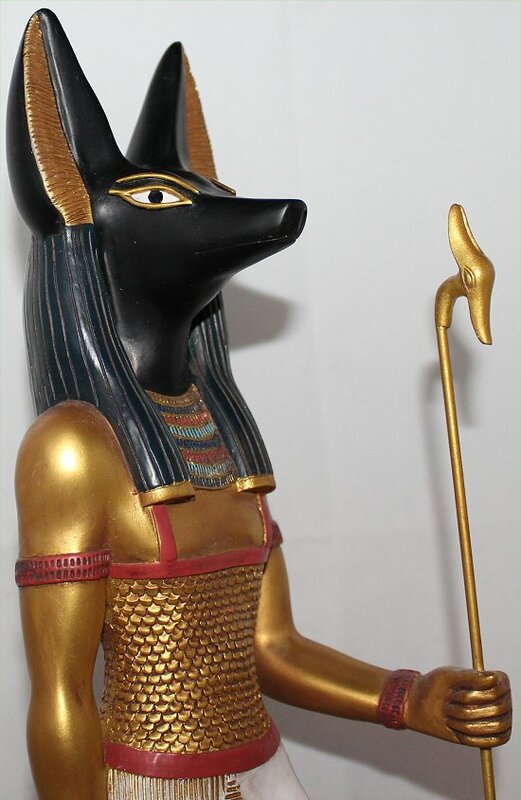 Two of the sculptures (Anubis and Maat) are actually on my TV stand, on either side…like they’re guarding my connection to media. 😉 Then, Isis, is on my kitchen counter – kind of random, I know! A Book of the Dead exhibit sounds awesome. 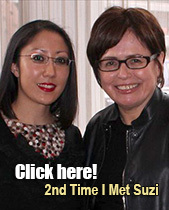 What’s the most interesting thing you learned at that event? I’m really curious! Oooo, that’s a toughie. Probably the most interesting thing to me was that the inscriptions on the sarcophagi were instructions to the dead on how to pass all the tests. Things like prayers to your heart: “Oh heart, don’t betray me.” That kind of thing. Oh wow – a book of the dead for a princess that took up all of the exhibit space? That sounds like a crazy project. Must’ve been very incredible to see in person! Wish I was there. 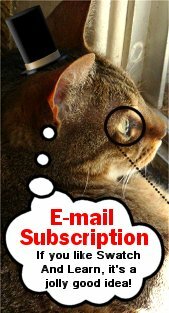 OMG Mary… Your post today reminded me of a really good/fun University course. I love learning new facts and your presentation was that of a top notch Professor… I may sound sarcastic but I am being honest. Wow! I have not spent any time learning about greek mythology though I will say that I do find it fascinating and would LOVE to learn more (as with many other things in life). Thank you for sharing this tidbit with all of us! I bought all of these from The Museum Store Company. 🙂 I remember them having lots of other really cool Egyptian stuff, but my budget didn’t allow for me to get everything I was drooling over. Yes, I like art deco, but I’m into various styles. Don’t think I can pick one as my favourite. It’s more like I like a little of every style. Love these Mary, I love all typed of mythology and should really get some more books to read. I’m loving Maat’s dress!! Same here – I would just love to get a great book that goes into each of the gods, how they related to one another, etc. Really creative and rich storylines, too!